What Purpose Do Fevers Serve? If your child is running a fever, your first inclination may be to administer acetaminophen or ibuprofen to bring the temperature down. 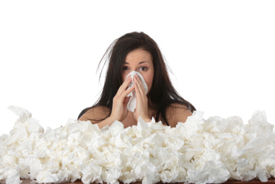 Though not commonly known, a fever is actually good for the immune system. A fever encourages your immune system to create more white blood cells, antibodies, and a protein called interferon, all of which work to shield your body from harmful microorganisms. By elevating your body’s temperature one or two degrees, a fever makes it more difficult for invading bacteria and viruses to survive and thrive. The higher your core body temperature is, the more difficult it is for harmful microorganisms to survive in your body. A fever helps to transport iron to your liver so that it is not readily available to fuel the growth of invading bacteria. But Isn’t a High Fever Dangerous? Unless the body’s temperature reaches 107.6 degrees Fahrenheit and stays there for an extended period, it can’t cause brain damage. Thankfully, your brain has a built-in thermostat that prevents your core temperature from rising above 106 degrees Fahrenheit during a bout with an infection. If you or a family member isn’t experiencing any of the above symptoms, you can manage the fever by getting ample rest, drinking water or other healthy liquids, eating lightly and ensuring that you are not raising your core temperature by wearing too many clothes or using too many blankets. Natural, safe and effective chiropractic care also can significantly boost the immune system. Those who get adjusted on a regular basis are better able to fend off cold and flu viruses. We encourage you to make chiropractic care an essential part of your wellness arsenal! Contact Compass Family Chiropractic today to book your appointment.